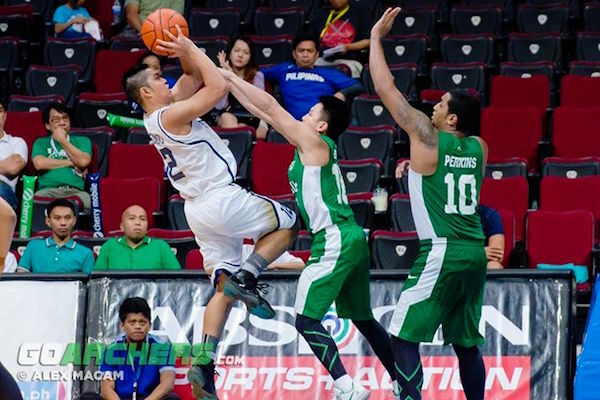 Hoop Nut #UAAP78 Adamson De La Salle FEU NU UAAP UAAP Season 78 #UAAP78 Roundup: The Tamaraws down the Soaring Falcons, and the Bulldogs rally past the Green Archers! #UAAP78 Roundup: The Tamaraws down the Soaring Falcons, and the Bulldogs rally past the Green Archers! Adamson could not capitalize on the anemic shooting of FEU’s big three and fell to their tenth defeat in twelve games, helping FEU gain the inside track to a twice-to-beat advantage in the Final Four. DLSU, meanwhile, failed to hold off a determined and desperate NU quintet in the fourth quarter, squandering a lead of as many as 11 points to tumble to their sixth loss. The Bulldogs are now just half a game behind the Archers for fourth spot. There were no shaky end-game moments today that required a Mike Tolomia bail out trey. Instead the FEU Tamaraws continued their surge and blasted Adamson University, 82-69, in the second round of UAAP 78 at the MOA Arena, Wednesday. After their round one encounter required Tolomia's heroics down the stretch, this time the league-leading Tamaraws simply flaunted their superior lineup and rolled to a ninth straight win. 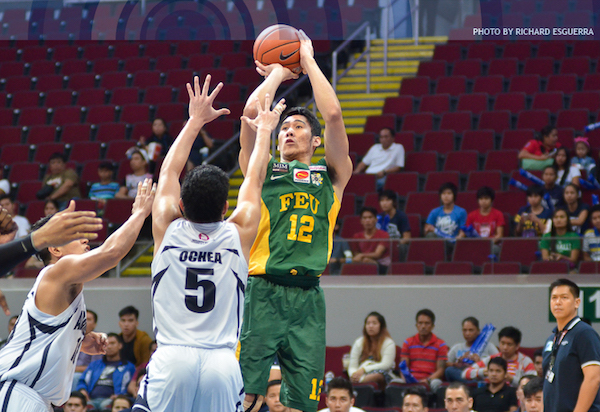 At 10-1, FEU is a win a way from securing a twice-to-beat in the Final Four. 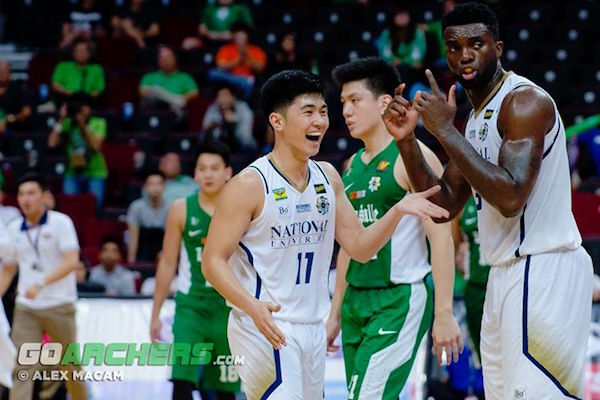 The Tamaraws had eight players with at least seven points and were successful in limiting Adamson reinforcement Papi Sarr to a mere four-point, eight-rebound performance. Sarr dominated FEU in round one on his way to 26 points and 22 rebounds. 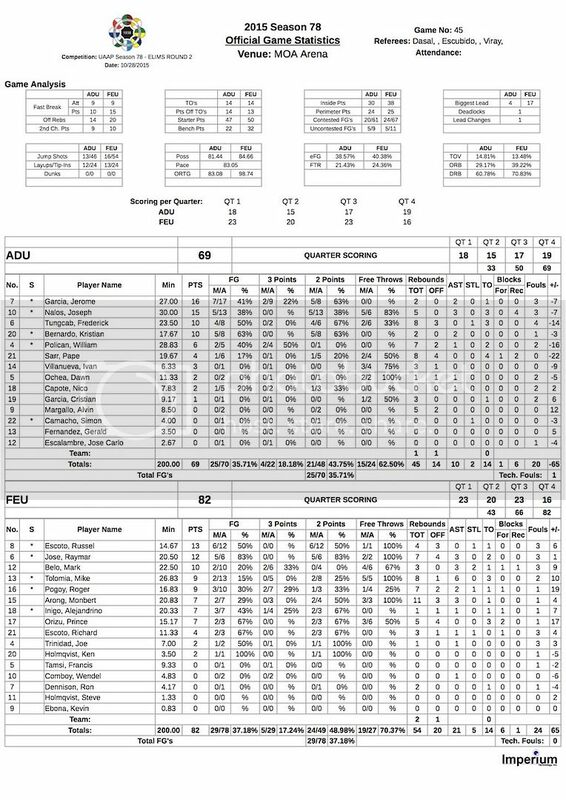 Russel Escoto led the balanced FEU offense with 13 markers while Raymar Jose and Mac Belo combined for 22. The Tamaraws led by as many as 17 and led 66-50 entering the fourth quarter. 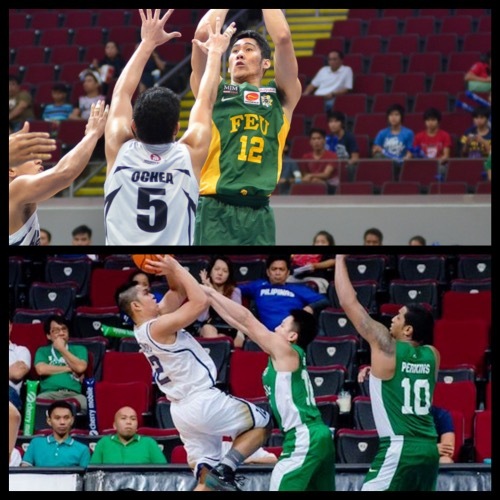 Mike Tolomia (FEU) - 9pts, 8rebs, 6asts. 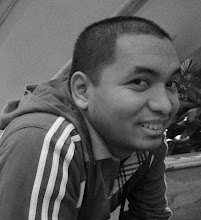 Joseph Nalos (ADU) - 15pts, 5rebs, 3asts. Jaydee Tungcab had a good game for Adamson despite the loss. Mac Belo struggled with his shot all game long. 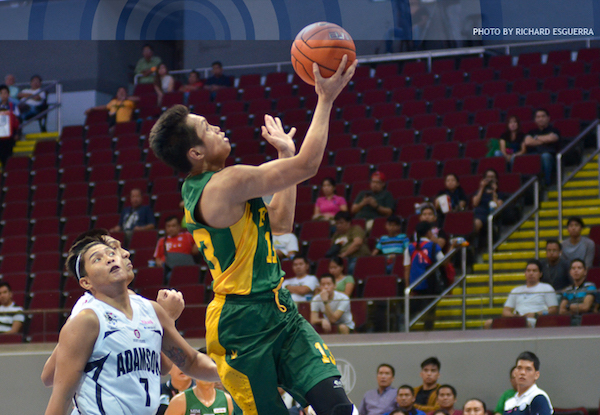 Mike Tolomia helped the Tamaraws to their tenth win of the season. With two do-or-die games left to save their title defense, it might be a good plan for the NU Bulldogs to go all-in on J-jay Alejandro. For the second time in three games, Alejandro dished out the most telling blows as the defending champion Bulldogs frustrate the De La Salle Green Archers, 81-73, in round two of UAAP 78 at the MOA Arena, Wednesday. Alejandro scored 25 points, 17 in the fourth quarter including 14 straight, to keep NU's flickering Final Four hopes alive. At 5-7, the Bulldogs are only half a game behind their victims for fourth place as the Green Archers slide down to 5-6. Alejandro went on a personal 14-3 run in the fourth quarter capped by back-to-back triples at the 5:51 mark as the Bulldogs took control of the contest, 65-58. 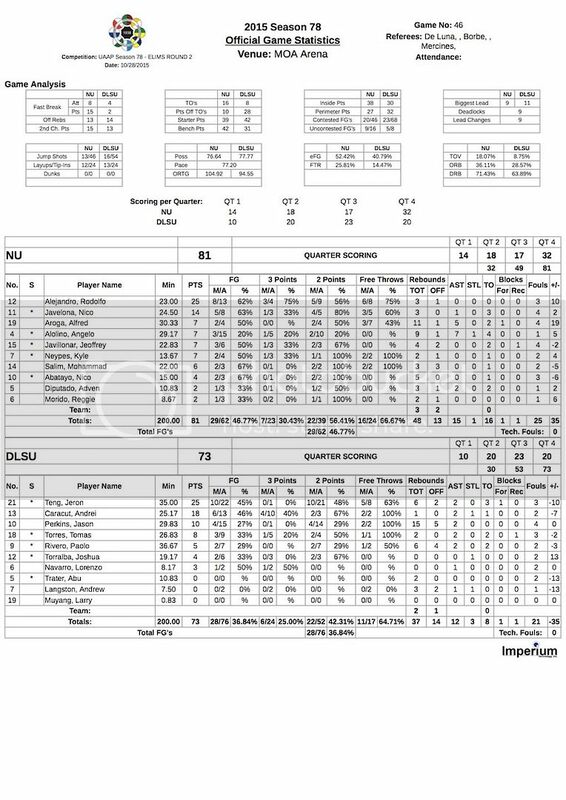 Jeron Teng, who also finished with 25 points, came right back with consecutive layups but Alejandro converted an and-one several plays later to give NU more breathing room. J-Jay Alejandro (NU) - 25pts, 3rebs, 3 triples, 8/13 FGs. Jeron Teng (DLSU) - 25pts, 6rebs, 2asts, 1blk. 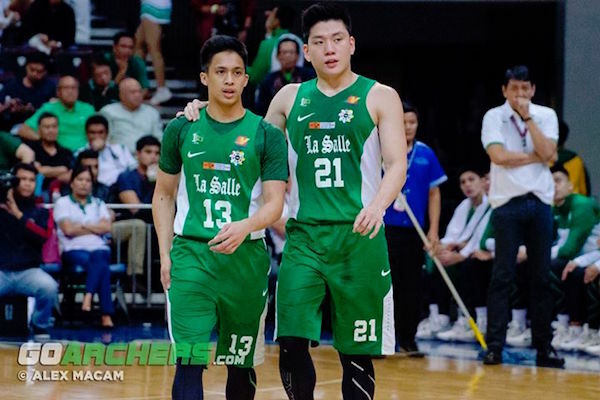 Andrei Caracut and Jeron Teng did well for DLSU, but it was all in vain. J-Jay Alejandro came up big again for the Bulldogs. 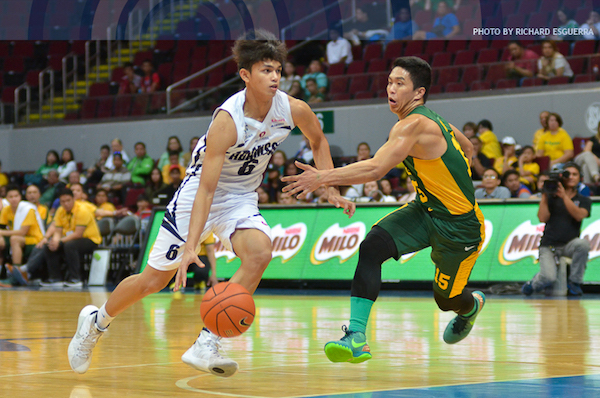 NU is still alive for a Final Four slot after netting their fifth win of the season.